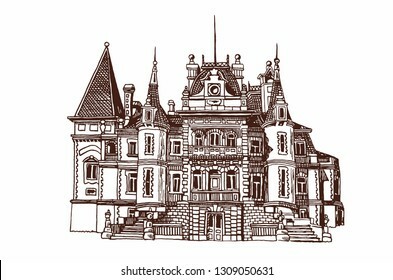 1,695 vorontsov palace stock photos, vectors, and illustrations are available royalty-free. 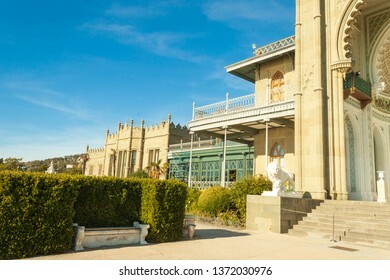 Alupka, Crimea - May 20, 2016: Vorontsov Palace in Crimea, Russia. 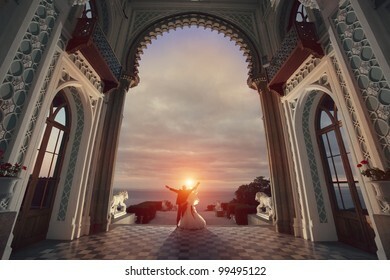 Vorontsov Palace is one of the best-known sights of Crimea. 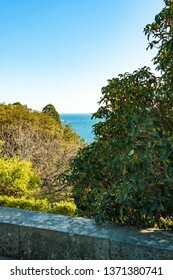 Mount Ai-Petri in the distance. 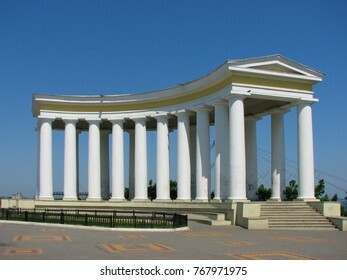 Historical architecture of Crimea. Crimea - May 20, 2016: Vorontsov Palace with a flower garden in Crimea, Russia. 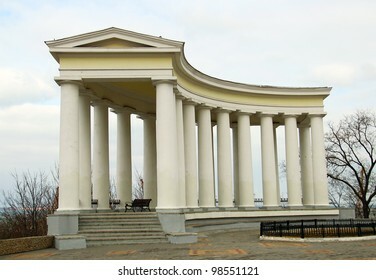 It is one of the main landmarks of Crimea. 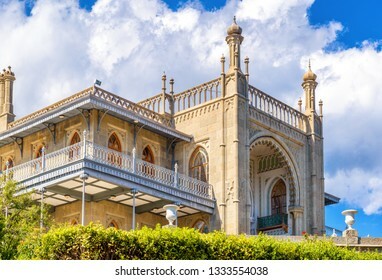 Scenic view of the old palace in arabic style on the Southern Crimea coast. 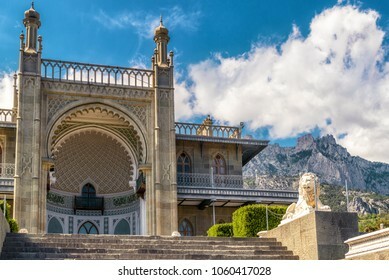 Vorontsov Palace, Crimea, Russia. 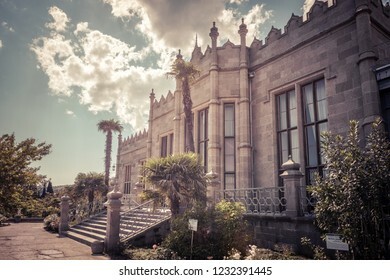 Old Vorontsov Palace is one of the main tourist attractions of Crimea. 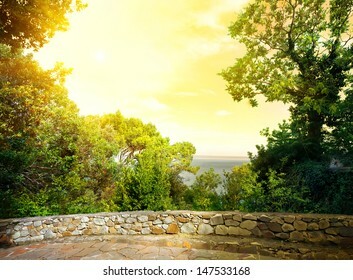 Scenic view of Crimea landmark in summer. 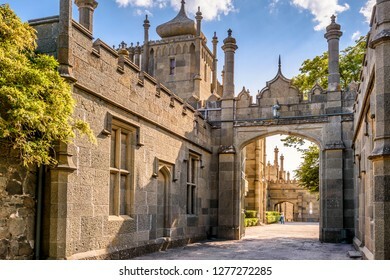 Russian historical architecture of South Crimea. Alupka, Crimea - May 20, 2016: Shuvalov Passage in Vorontsov Palace in Crimea, Russia. 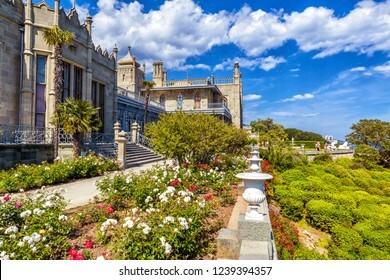 Vorontsov Palace is one of the main tourist attractions of Crimea. 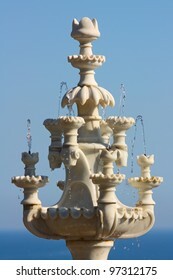 Historical architecture of Crimea in summer. 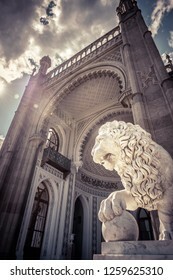 ALUPKA, CRIMEA - MAY 20, 2016: Vorontsov Palace with a marble lion in Crimea. 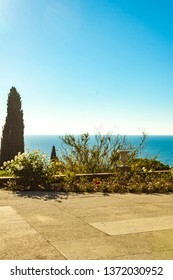 It is one of the main landmarks of Crimea. 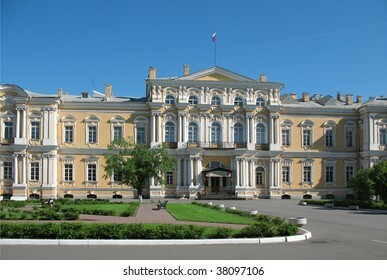 Beautiful view of Vorontsov Palace on synny day. 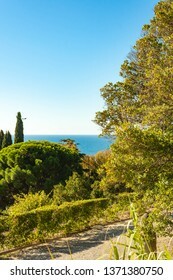 Postcard of Crimea in summer. 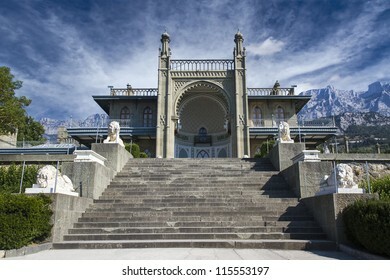 CRIMEA, RUSSIA - MAY 20, 2016: Vorontsov Palace with luxury stairway in Crimea. 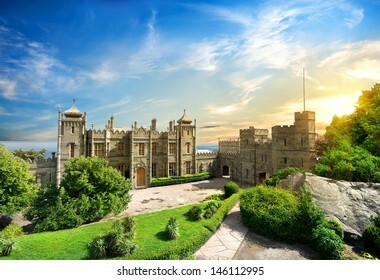 Vorontsov Palace is one of the main landmarks of Crimea. 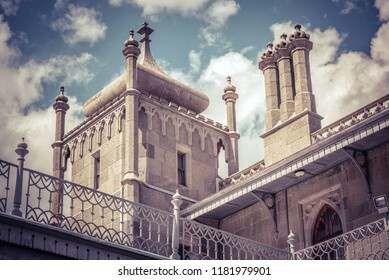 Old architecture of Russian Empire on the Crimea coast. 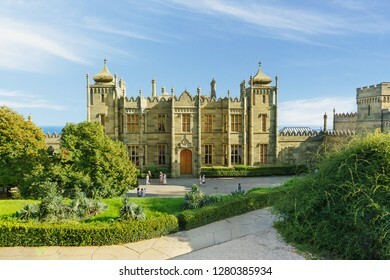 Vorontsov Palace in the town of Alupka, Crimea, Ukraine. Crimea - May 20, 2016: Vorontsov Palace in the resort town of Alupka, Crimea, Russia. 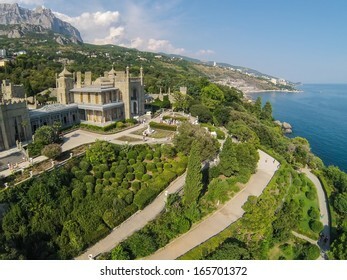 Vorontsov Palace is one of the best-known sights of Crimea. 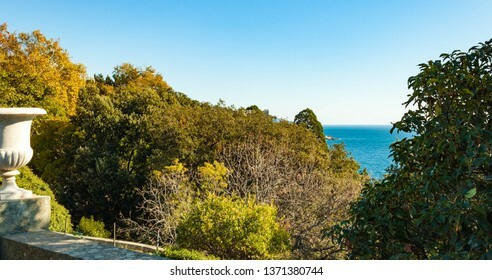 Beautiful panoramic view of Crimea landmark in summer. YALTA - AUG 27: Beautiful Vorontsov Palace against the sea, sky and mountain Ay Petri on August 27, 2013 in Yalta, Ukraine. View from unmanned quadrocopter. 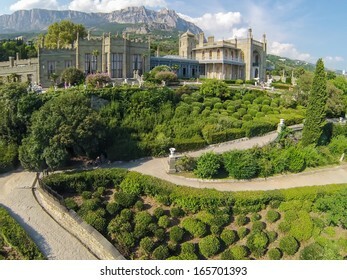 The Vorontsov Palace is an historic palace situated at the foot of the Crimean Mountains near the town of Alupka (Crimea). 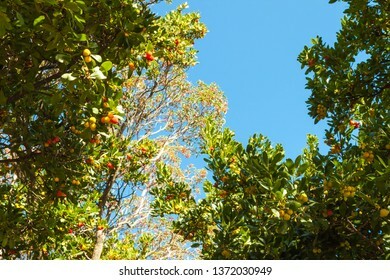 Green foliage is in the foreground, high rocks and sky are in the background. 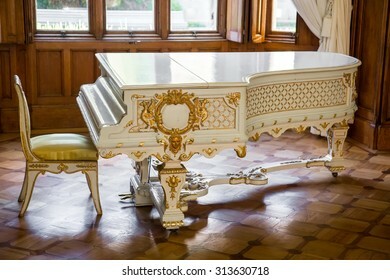 Crimea, Ukraine - 17 June 2015: White gold plated vintage piano in the style of the Renaissance and the Baroque in the Vorontsov Palace. 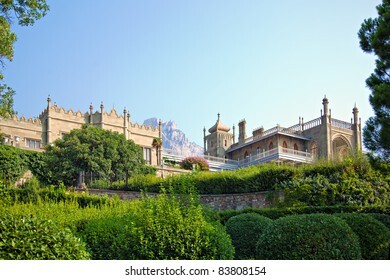 Alupka, Crimea - May 20, 2016: Beautiful view of the Vorontsov Palace in Crimea, Russia. 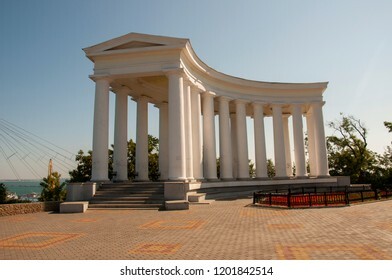 It is one of the main landmarks of Crimea. 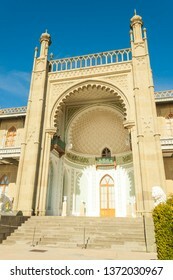 Scenic panorama of the Vorontsov Palace in arabic style in summer. 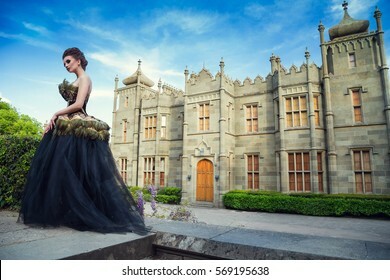 Vorontsov Palace in the town of Alupka, Crimea, Ukraine. 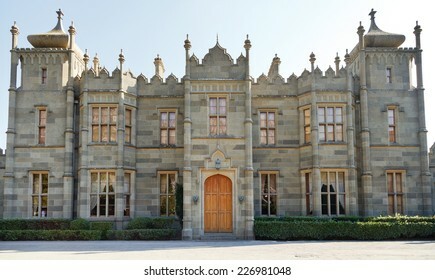 Southern facade. 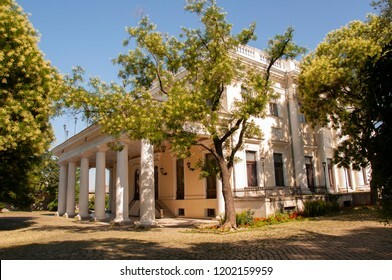 ALUPKA, CRIMEA - MAY 20, 2016: Front view of the old Vorontsov Palace in Crimea, Russia. 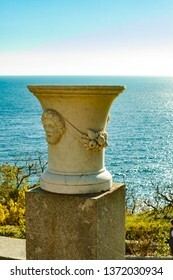 It is one of the main tourist attractions of Crimea. 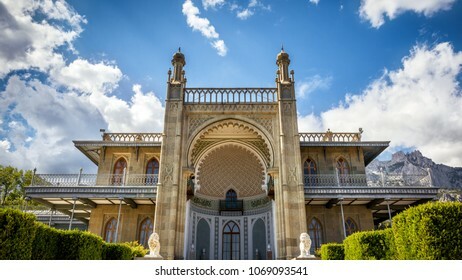 Facade of the beautiful palace in arabic style in summer. 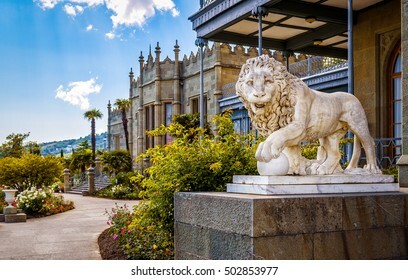 ALUPKA, CRIMEA - MAY 20, 2016: Vorontsov Palace with a stone lion in Crimea, Russia. 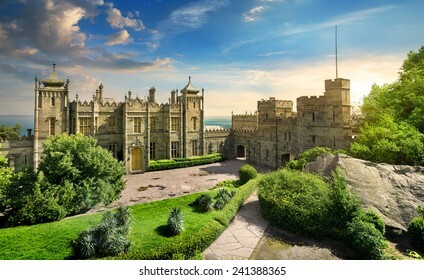 Vorontsov Palace is one of the main landmarks of Crimea. 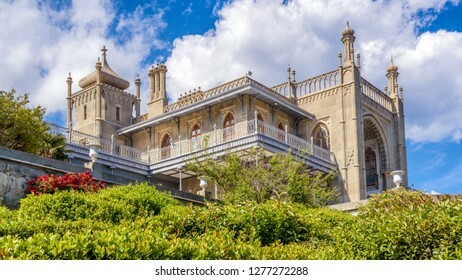 Beautiful architecture of Russian Empire in South Crimea. 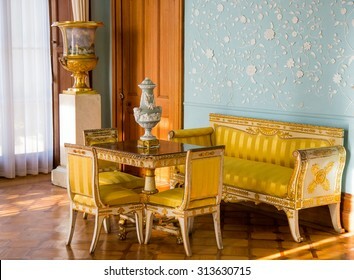 CRIMEA, RUSSIA - SEPTEMBER 25, 2014: Interiors of halls in Vorontsov Palace in Alupka. 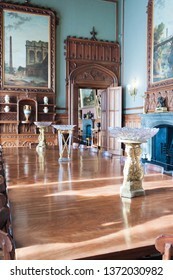 The palace is built in 1848. 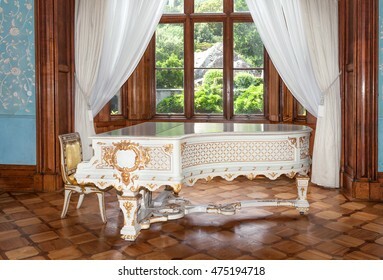 CRIMEA, RUSSIA - SEPTEMBER 25, 2014:White vintage beautifully decorated grand piano stands in middle of living room. 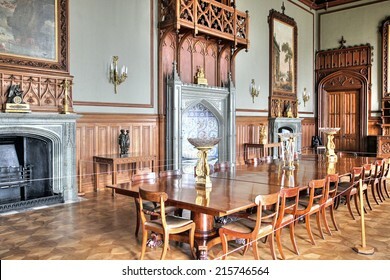 Interiors of halls in Vorontsov Palace in Alupka. 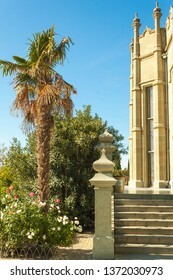 The palace is built in 1848. 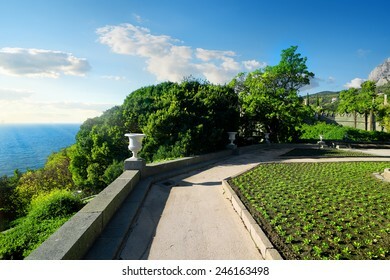 YALTA - AUG 27: Green garden in front of Vorontsov Palace, against the sky and mountain Ay Petri on August 27, 2013 in Yalta, Ukraine. View from unmanned quadrocopter. 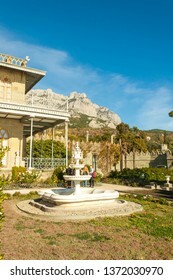 Vorontsov Palace in the Crimea. 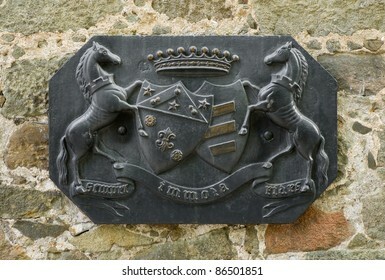 Coat of arms of the Vorontsov family on a wall of the Vorontsovsky Palace, Alupka, Crimea, Ukraine. 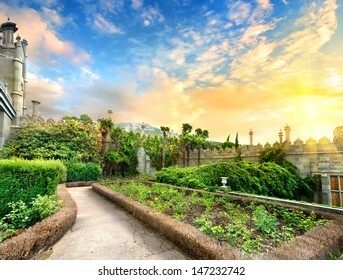 Vorontsov garden in the town of Alupka, Crimea, Ukraine. 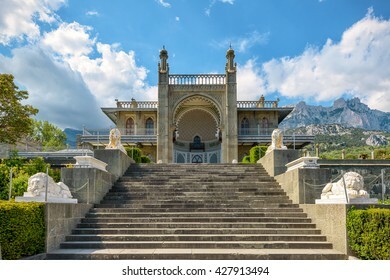 The Vorontsovsky Palace in the town of Alupka, Crimea, Ukraine. 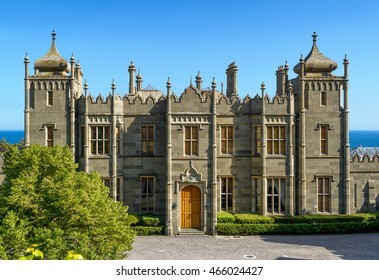 A summer residence of the governor-general of the Novorossiysky Krai, Prince Mikhail Semyonovich Vorontsov. 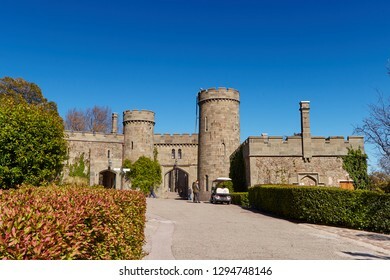 It was built in 1828-1846. 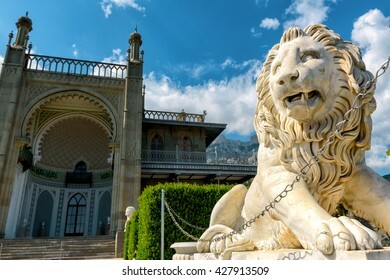 Alupka, Crimea - May 20, 2016: Vorontsov Palace with a lion statue in Crimea, Russia. 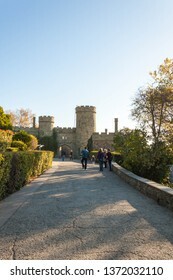 It is one of the main tourist attractions of Crimea. 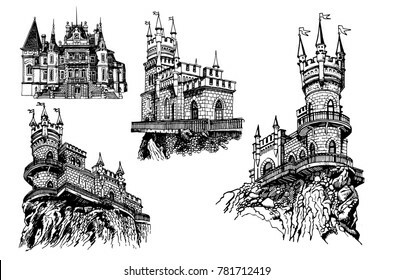 Vintage view of the old Crimea landmark in an arabic style. 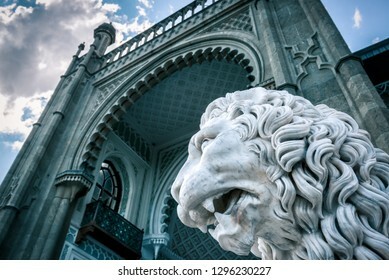 Alupka, Crimea - May 20, 2016: Vorontsov Palace with a marble lion in Crimea, Russia. 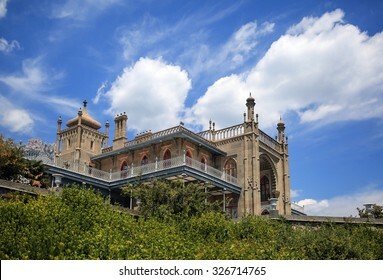 Vorontsov Palace is one of the top landmarks of Crimea. 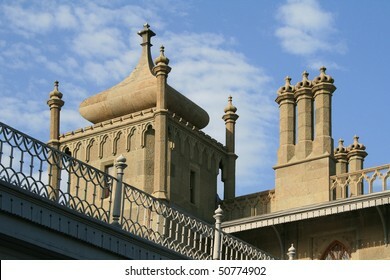 Beautiful architecture of Russian Empire in South Crimea. 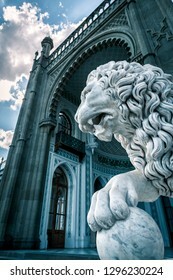 One of the lions outside of the Vorontsovsky Palace in the town of Alupka, Crimea, Ukraine. 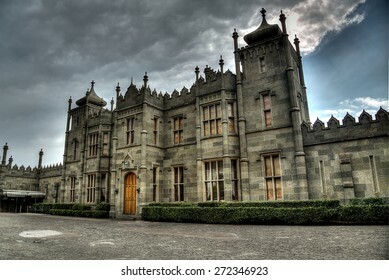 A summer residence of the governor-general of the Novorossiysky Krai, Prince Mikhail Semyonovich Vorontsov. 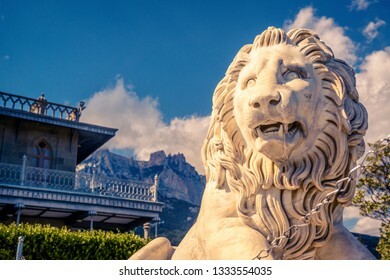 Alupka, Crimea - May 20, 2016: Statue of lion in front of Vorontsov Palace in Crimea, Russia. 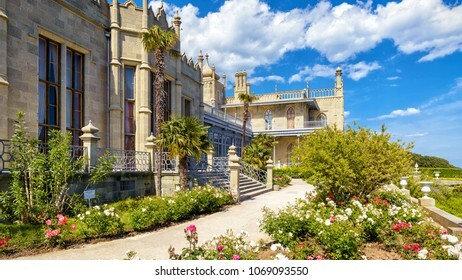 Vorontsov Palace is one of main tourist attractions in Crimea. 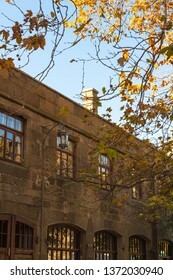 Historical architecture in South Crimea. Crimea - May 20, 2016: Vorontsov Palace in Arabic style in Crimea, Russia. 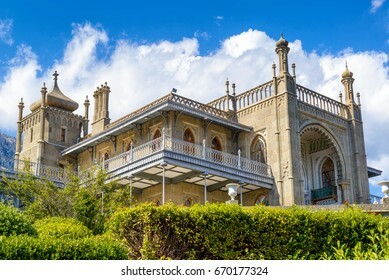 Old Vorontsov Palace is one of the top landmarks of Crimea. 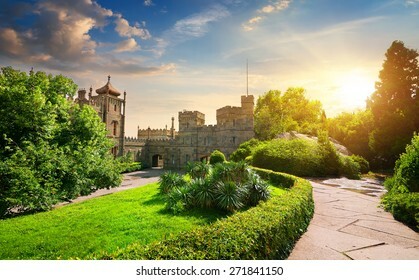 Scenic view of historical architecture of Crimea in summer. Russia, the Republic of Crimea, the city of Alupka. 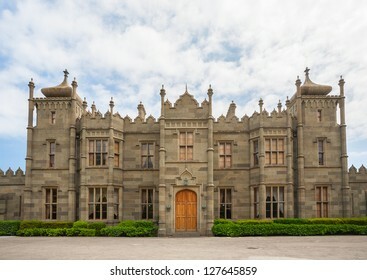 03 November 2018: Entrance to one of the best-known sights Vorontsov Palace. 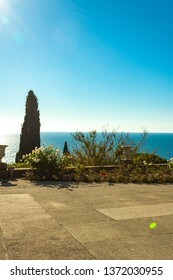 Beautiful panoramic landmark view of Vorontsovsky Palace. 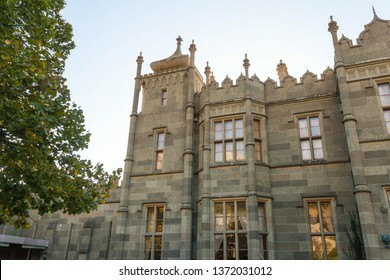 Alupka, Crimea - May 20, 2016: Southern facade of Vorontsov Palace in Crimea, Russia. 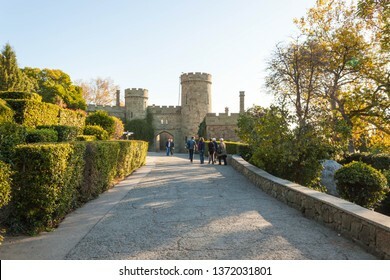 It is one of the main tourist attractions of Crimea. 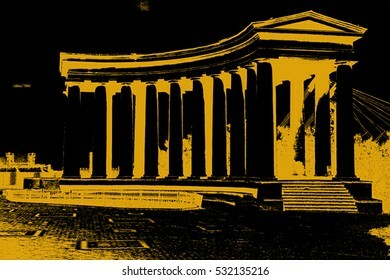 Vintage view of the old Crimea landmark in an arabic style. 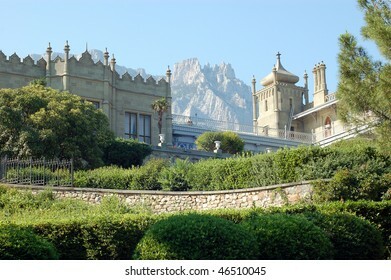 Alupka, Crimea - August 9, 2018: Vorontsov Palace, located at the foot of Mount Ai-Petri. 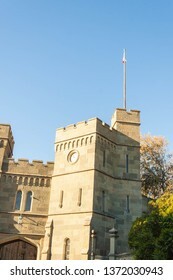 The palace was founded in the middle of the 19th century (1848). 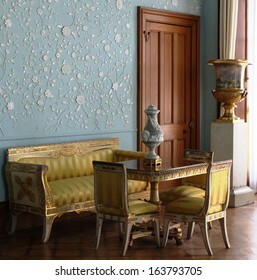 Currently, the object functions as a museum. 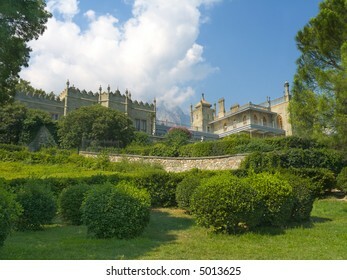 Alupka, Yalta, Crimea, Russia. April 25 2017. 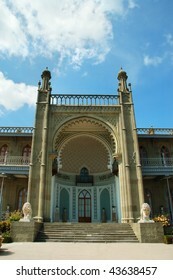 Western entrance of the Vorontsov Palace in Alupka city. 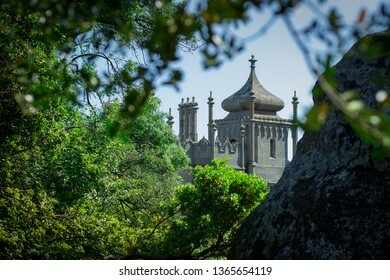 Crimea - May 20, 2016: Vorontsov Palace like a castle in arabic style in Crimea, Russia. This place is one of the main landmarks of Crimea. 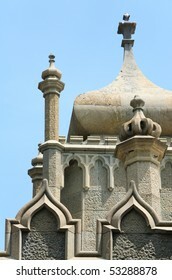 Famous historical architecture of South Crimea in summer. 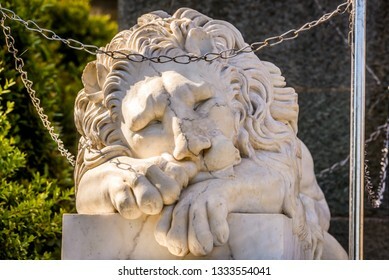 Alupka, Crimea - May 20, 2016: Marble statue of sleeping lion at the Vorontsov Palace in Crimea, Russia. 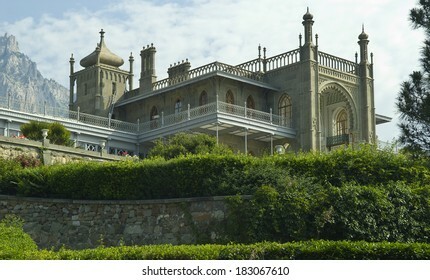 This old palace is a landmark of Crimea. 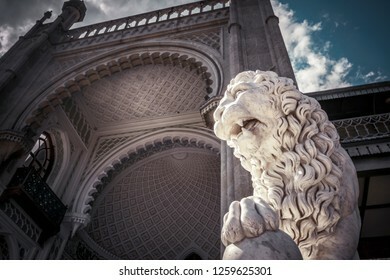 Beautiful stone sculpture of relaxing lion close-up. Crimea - May 20, 2016: Vorontsov Palace close-up in Crimea, Russia. 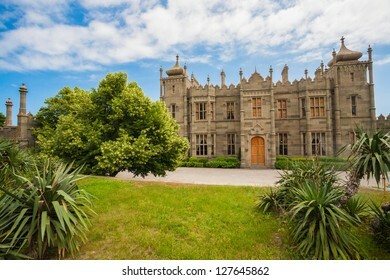 Old Vorontsov Palace is one of the main landmarks of Crimea. 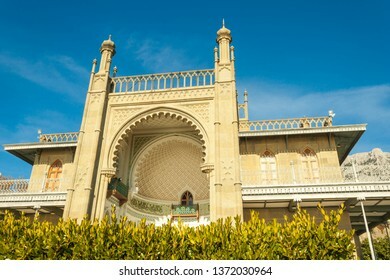 Historical architecture of Southern coast of Crimea in arabic style. 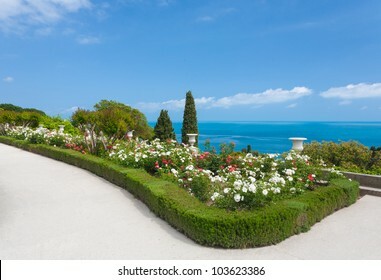 Alupka, Crimea - May 20, 2016: Vorontsov Palace with a flower garden in Crimea, Russia. 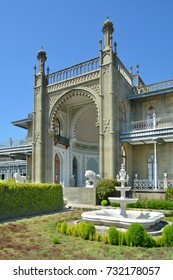 Vorontsov Palace is one of the top tourist attractions in Crimea. 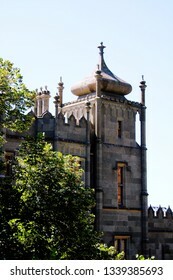 Historical architecture of Crimea in summer. 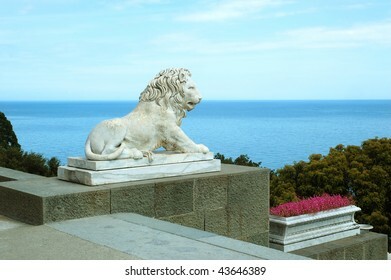 Alupka, Crimea - May 20, 2016: Lion statue at the Vorontsov Palace in Crimea, Russia. 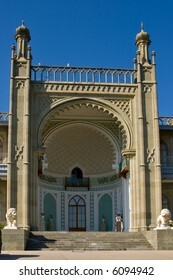 This palace is one of the main tourist attractions of Crimea. Vintage view of the Crimea landmark in arabic style. 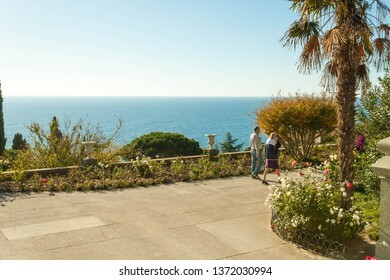 Crimea - May 20, 2016: Vorontsov Palace with beautiful garden in Crimea, Russia. 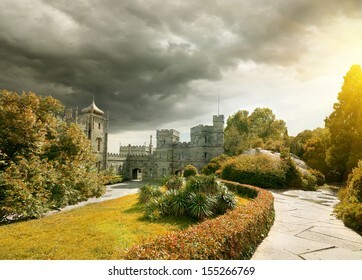 Vorontsov Palace is one of the main landmarks of Crimea. 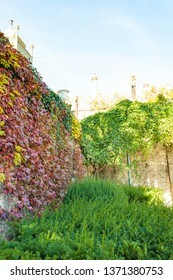 Panoramic view of historical architecture of Crimea in summer. 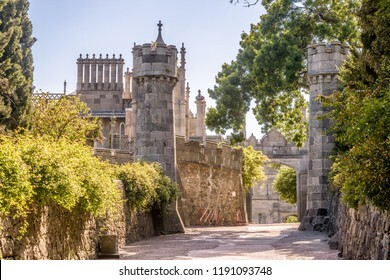 Russia, the Republic of Crimea, the city of Alupka. 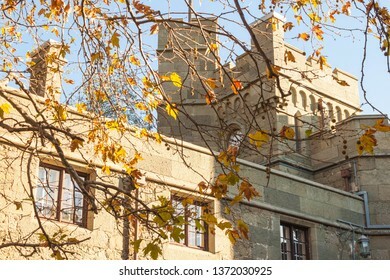 03 November 2018: Entrance to one of the best-known sights Vorontsov Palace. 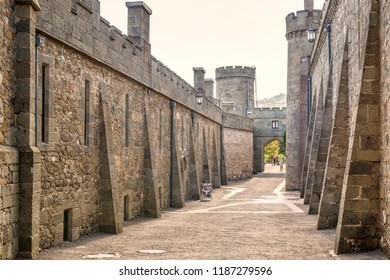 Beautiful panoramic view of Crimea landmark with fortress gate. 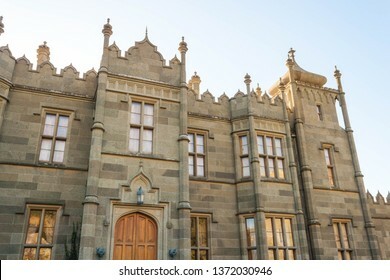 Alupka, Crimea, Russia - November 03, 2018: Northern facade of Vorontsov Palace of diabase in medieval style. 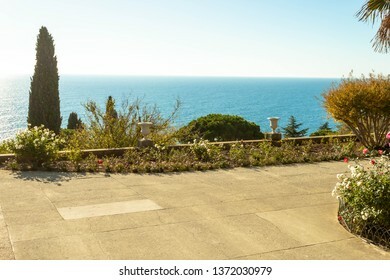 Russia, Crimea, Alupka 03 November 2018: stone vase on the terraces on the South side of the Vorontsov Palace. 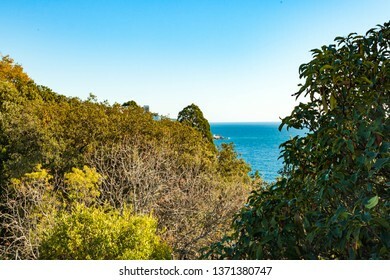 Russia, Crimea, Alupka 03 November 2018: incredibly beautiful landscape view of the park of the Vorontsov Palace with coniferous and deciduous trees, woody shrubs, Cypress and tangerine tree. 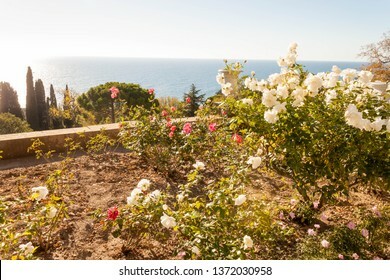 Russia, Crimea, Alupka 03 November 2018: Roses and cypress on the terraces on the South side of the Vorontsov Palace. 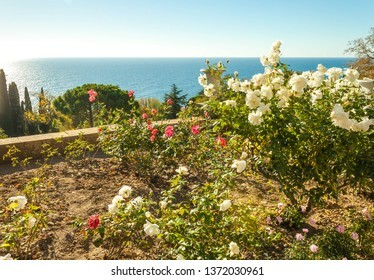 Russia, Crimea, Alupka 03 November 2018: Roses on the terraces on the South side of the Vorontsov Palace. 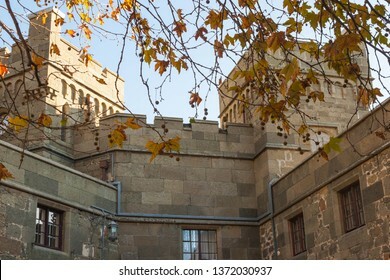 Russia, Crimea, Alupka 03 November 2018: Moorish South side terraces of the Vorontsov Palace. 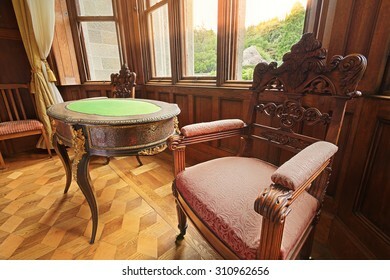 Russia, Crimea, Alupka 03 November 2018: Luxury Vintage interior with ancient wooden decoration Inside Vorontsov Palace, one of the best-known sights. 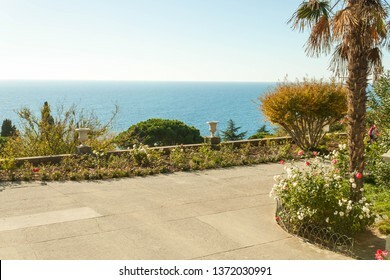 Russia, Crimea, Alupka 03 November 2018: black sea and terraces on the South side of the Vorontsov Palace.